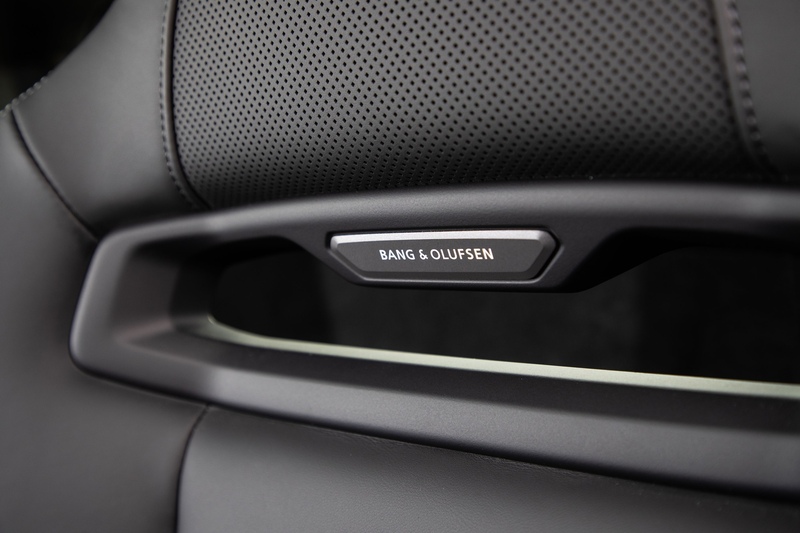 There are a number of cars that aim to serve more than a single defined purpose. Bear with me. We live in a slightly strange world with blurred lines where Lamborghini build a 4×4, Ferrari build a hatchback and Rolls-Royce build Black Badge limousines with enough torque to transform rubber into smoke at an alarming rate. All of these cars try to be more capable and versatile than ever before. 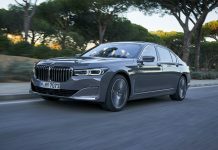 Many insist that these cars have come into existence to make money and cater for the likes of the Russian and Chinese markets, both of which seem to have insatiable appetites for these unconventional motor vehicles. 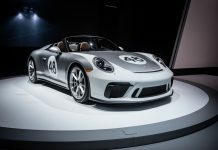 Then there is a camp of drivers that would not be seen dead in these Frankenstein like machines and would rather just have cars such the Porsche 911 to drive to work in and take on fun drives – a car that is able to serve more than a single purpose, but not at the cost of seeming incongruous. They are likely to have a second car for the boring stuff like school drop offs and IKEA collections. 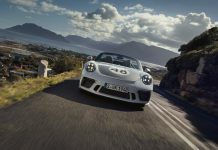 Where there used to be a 911 Turbo S as a go to option, there are now a host of alternatives to the daily supercar. 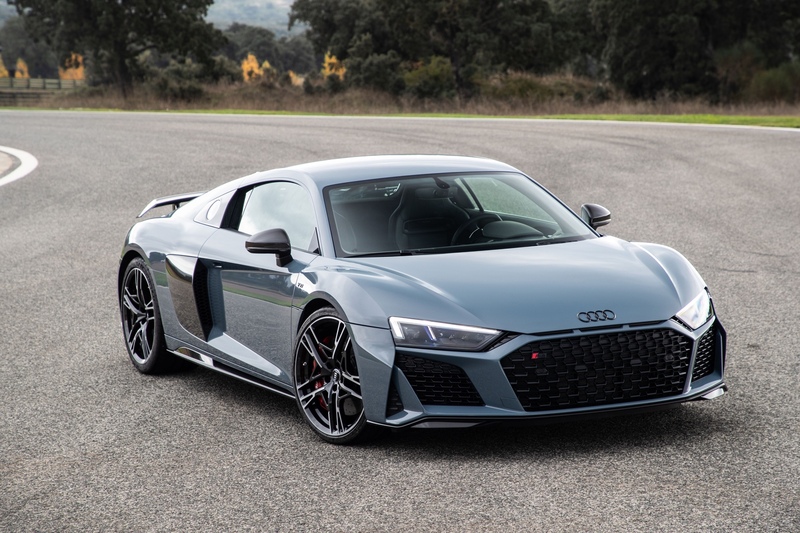 A decade ago another German manufacturer burst onto the scene with a mid-engined supercar that blew the game open – the Audi R8. Now there’s an updated iteration and I’ve been driving it to see what’s what. 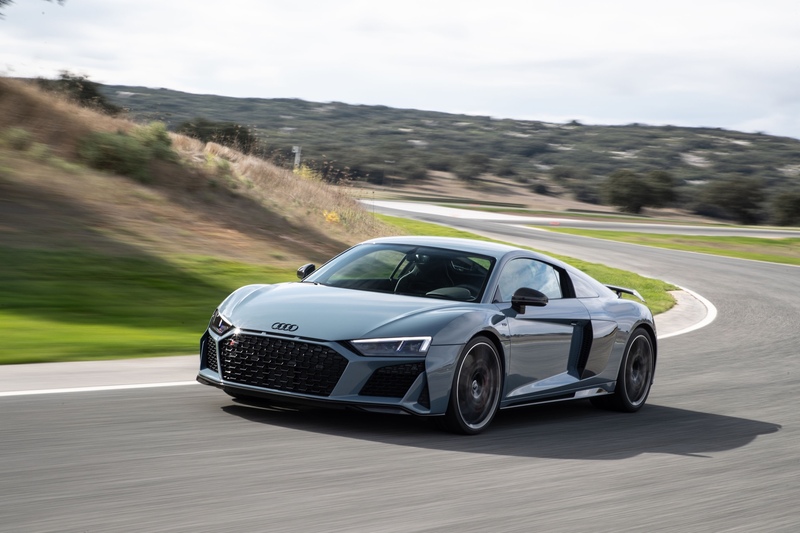 This, then 2019 Audi R8 Performance, is a facelift of the Plus so things aren’t vastly different from what they used to be. 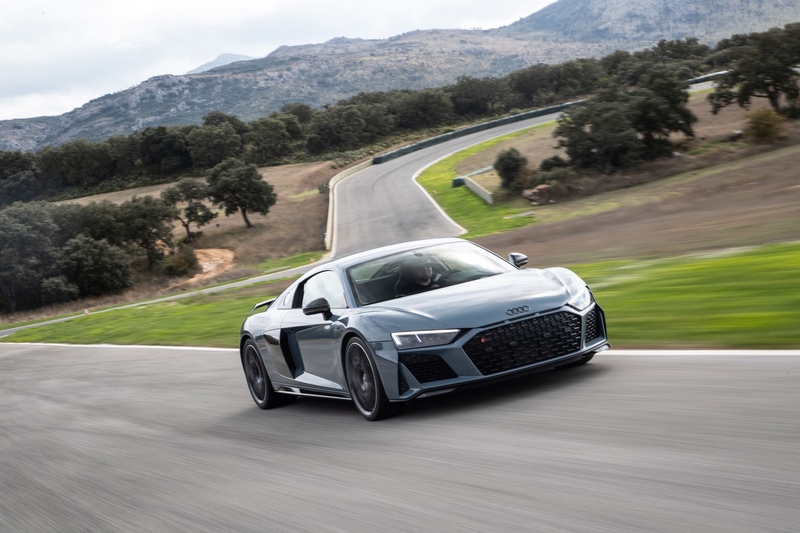 That being said, the changes are big enough to warrant a flight to Spain…bedsides, I was not going to turn down the opportunity to drive a naturally aspirated V10 as such chances are rarer than a spelling error free Trump tweet. 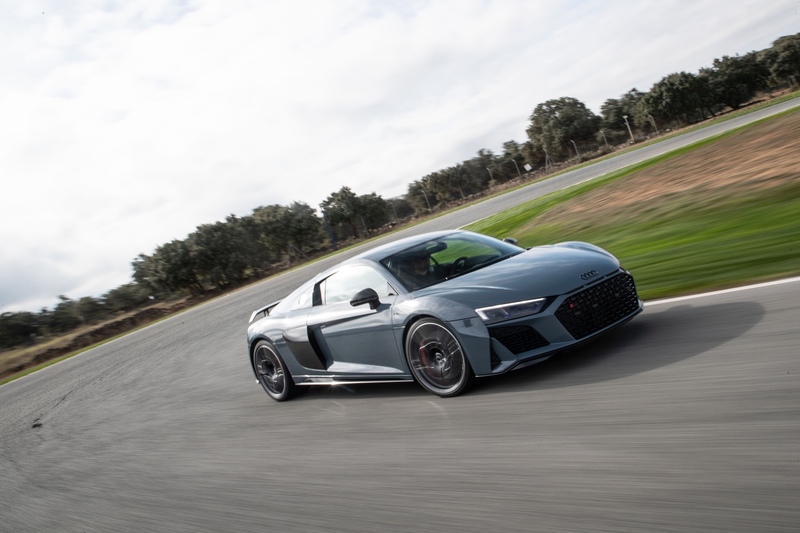 It is not fake news that the V8 R8 is yet to be updated because it is not going to return, a hybridised V6 will take its place and who knows if we will we see an NA V10 in a road car again. Enough of the future, let’s enjoy the here and now whilst we have it. 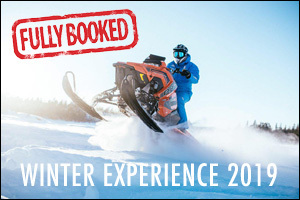 There is a lot to enjoy, but the list is topped by one stand out feature, or ten. The engine is the headline and it is a masterpiece. 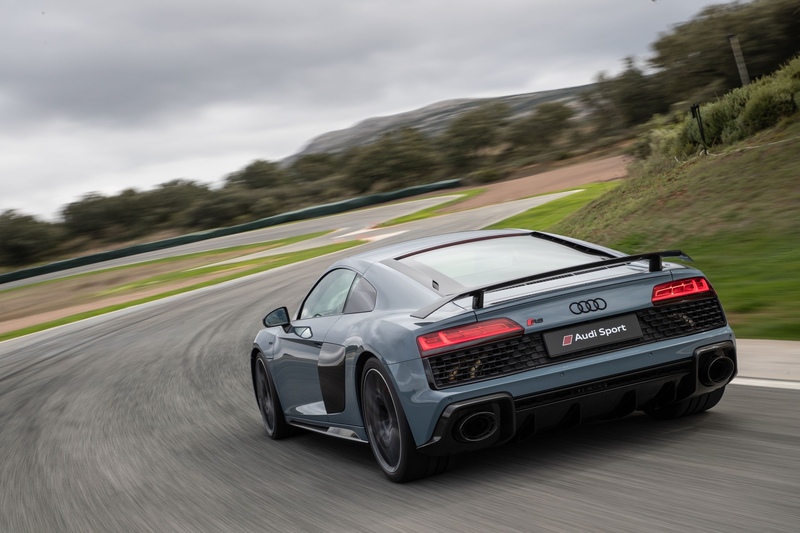 Everyone needs to experience an empty racetrack and a 5.2-litre V10 because this things HAULS and makes turbo charging look like the Grinch on Christmas morning. The redline is up at 8,500rpm and you WILL chase it to the line because it sounds like nothing else. 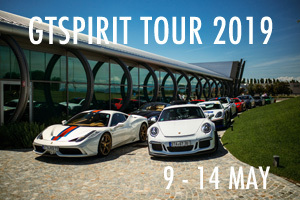 It will also be pushing out 614 brake horsepower (up 10 from the Plus). This power hike is significant as the new figures matches some serious metal, including the McLaren 570S. 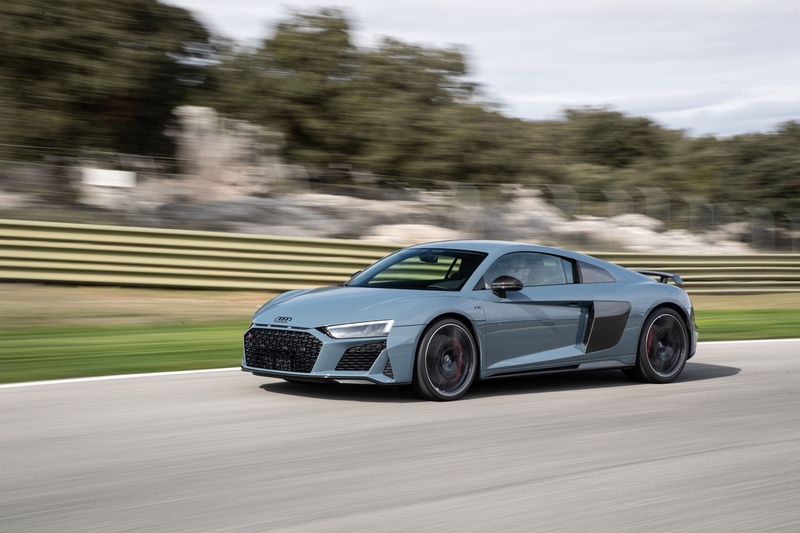 The Mac is, however, 200 kilograms lighter, and having spent significant time behind the McLaren, I am confident that the R8 would struggle to see where the 570S went in anything but wet conditions. 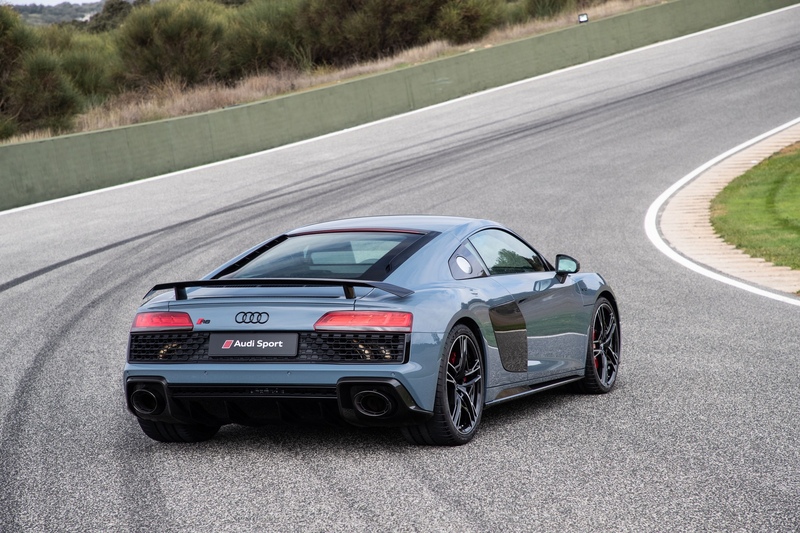 That being said, the R8 is far from being a slouch. 0-100 is accomplished in just 3.1 seconds and it won’t stop accelerating until it hits 330. Supercar standards are certainly met. 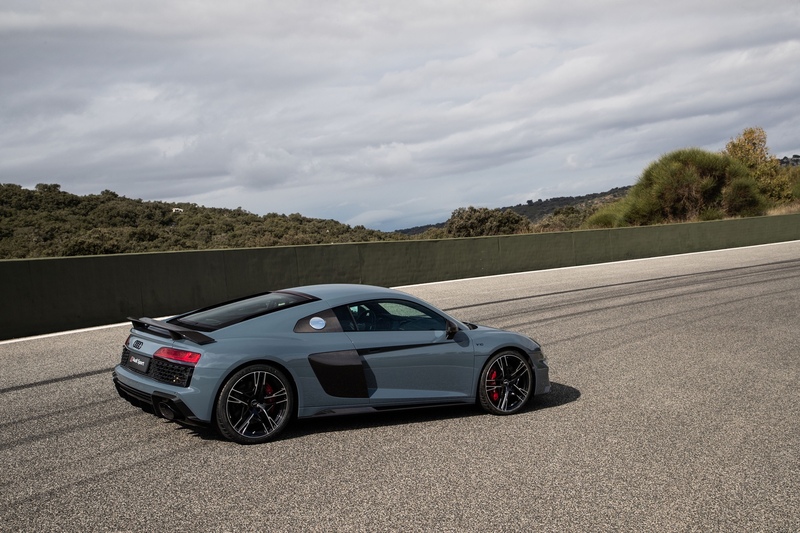 So, it is fast enough to mix with supercars, but can you really live with an R8 everyday? 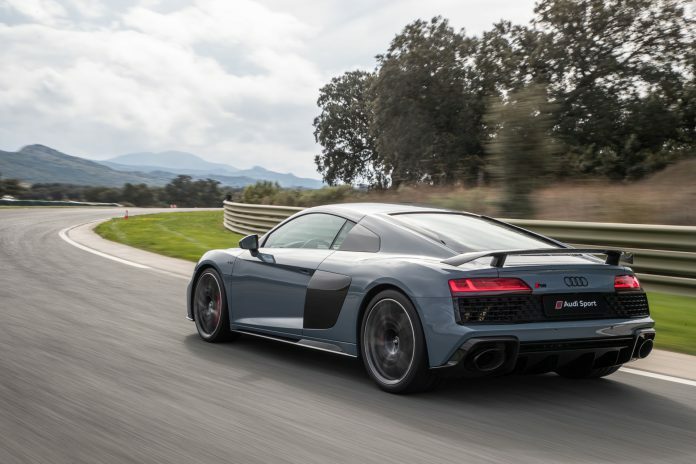 Comfort is fundamental to being able to live with a car – this is where the R8 tramples the likes of the Porsche GT3 and the aforementioned McLaren. 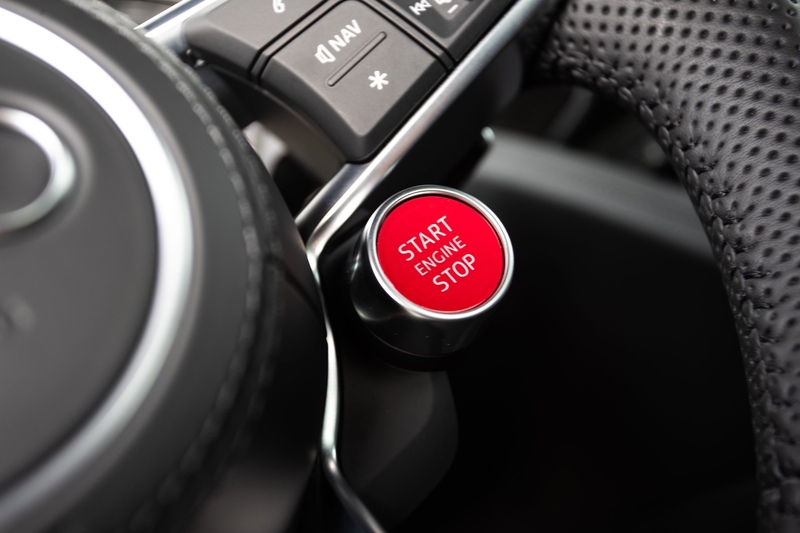 The usual Comfort, Auto and Dynamic modes are available from the Audi Drive Select switch. Annoyingly, you are still required to prod a single button to cycle through the modes. Miss the one you desire and the cycle begins again. 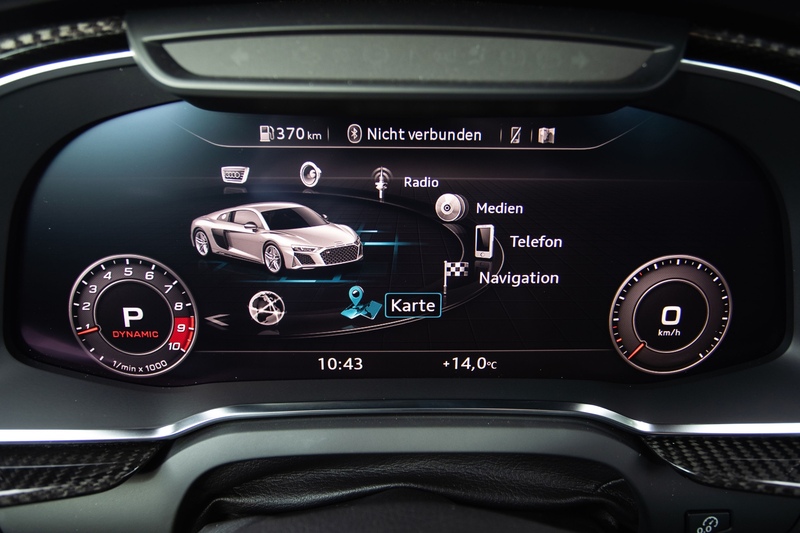 I digress, the driving modes really do make a difference to the way the car responds to inputs. Leave it in Comfort and it is all very serene. 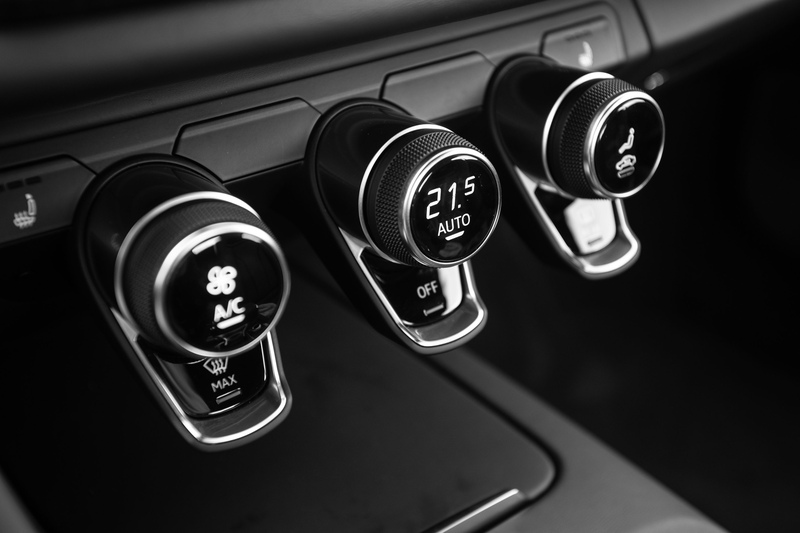 The engine is quiet and the transmission keeps the shifts smooth. The suspension is supple, the steering (still an annoying variable rack, albeit an improved one) is light. 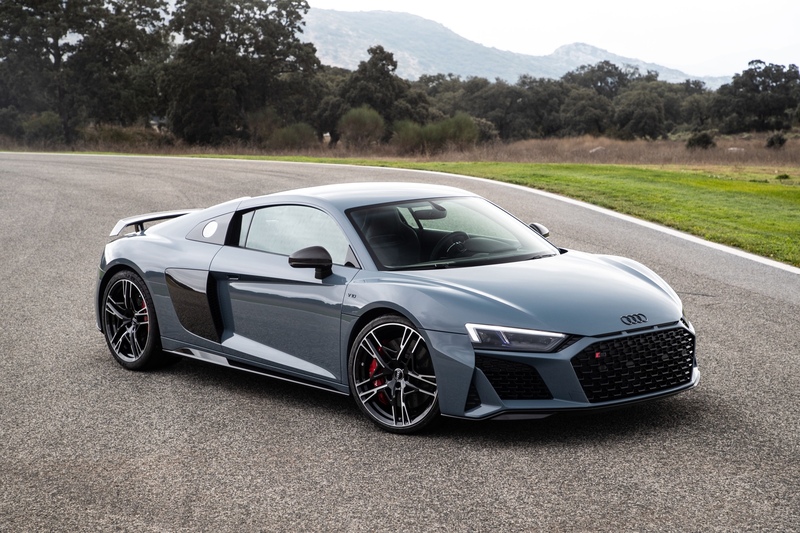 It really does behave like a plush Audi saloon to the extent that one bank of the ten cylinders will deactivate at a cruise and the supercar becomes a frugal five cylinder. The seats are comfortable (do not spec the buckets unless you really think you will be on track days) and there are host of cubby holes and storage spaces, in addition to the front truck, to stow you phone, chewing gum et al. Chances are that if you are in the market for such a car, you can handle the fuel, insurance and any other ownership costs. 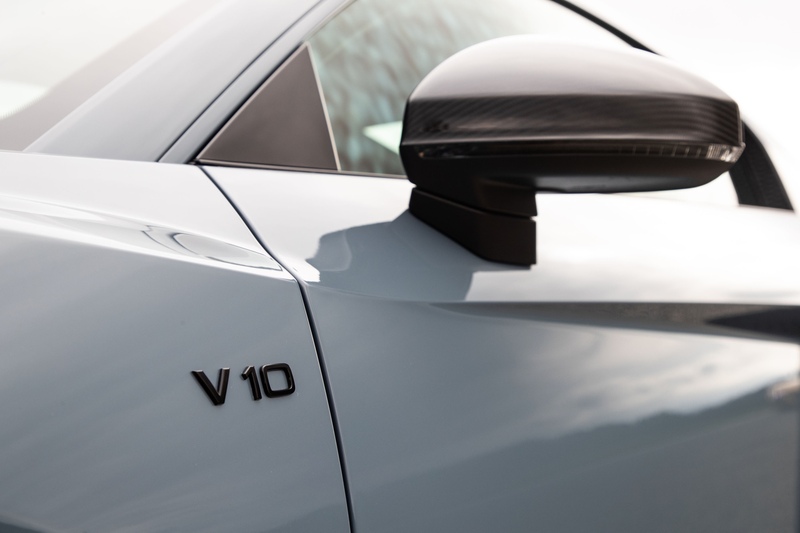 It may have a V10, but it is still and Audi so maintenance should not be that steep – you can really drive this car everyday. 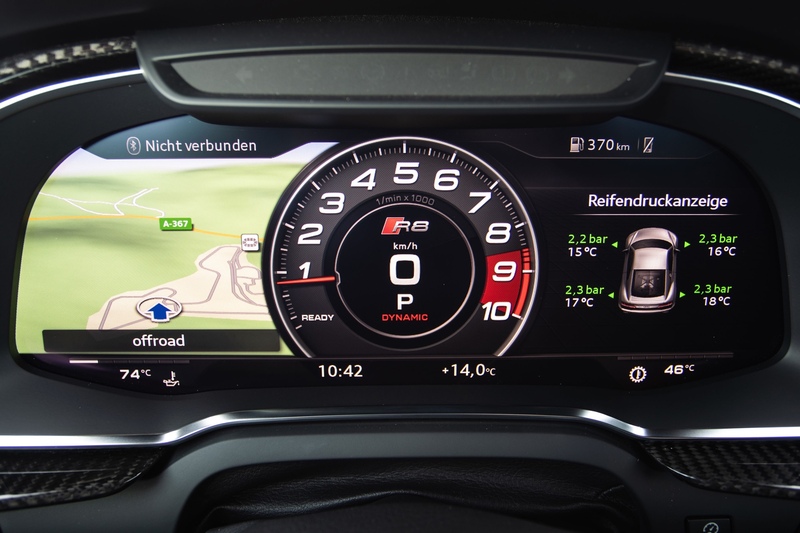 On the topic of phones, the R8 is just as well connected as any other Audi, however, the lack of a central control screen means it is all controlled via the Virtual Cockpit and the buttons on the steering wheel. This means there are complex menus and submenus to navigate. On the move, where you inevitably need to turn, this is often quite a testing task, but one I am sure would become less challenging as you spend more time behind the wheels. Ahh, behind the wheel…there are two paddles and things go downhill. It’s been a bugbear that has plagued every R8 generation since the inception of the model – the paddles used to shift manually are constructed of plastic that feel horrible to touch and even more woeful to shift with. 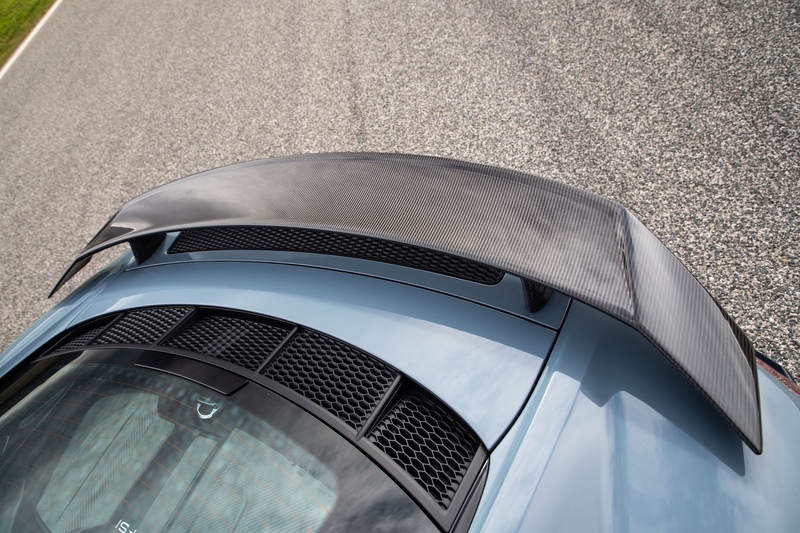 This is seemingly something that should not be difficult to address, but has not been despite the many facelifts the R8 has been subject to. 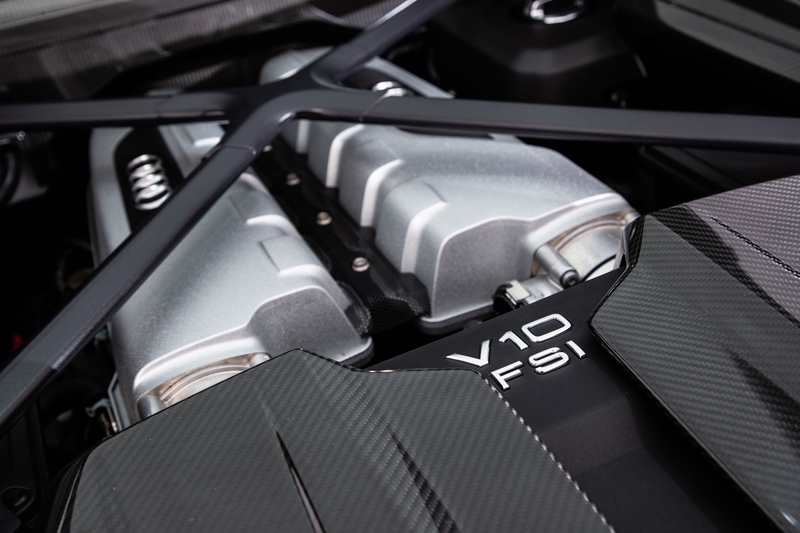 It is hard not to be impressed by the R8 V10 Performance. 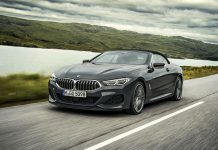 The drivetrain and bonkers fast gearbox present a package that is excellent and appealing in a world of turbocharged, downsized engines. It also must be noted that I did not have to chance to drive the car on the road to asses its street manners. 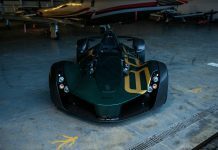 Driving on track was not exactly smooth sailing – the brakes (carbon ceramic options) struggled with the harsh braking at Ascari. They were left smoking and struggling to bring the car to a swift halt after just three laps. When you pick up the pace understeer creeps in, this can we neutralised and overcome with a slower corner entry speed and heavier right foot post apex. 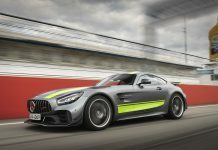 Truth be told, learning how to drive the car was an enjoyable challenge, but one I think will not be much of a concern to potential owners that I suspect will ever drive it on a circuit. 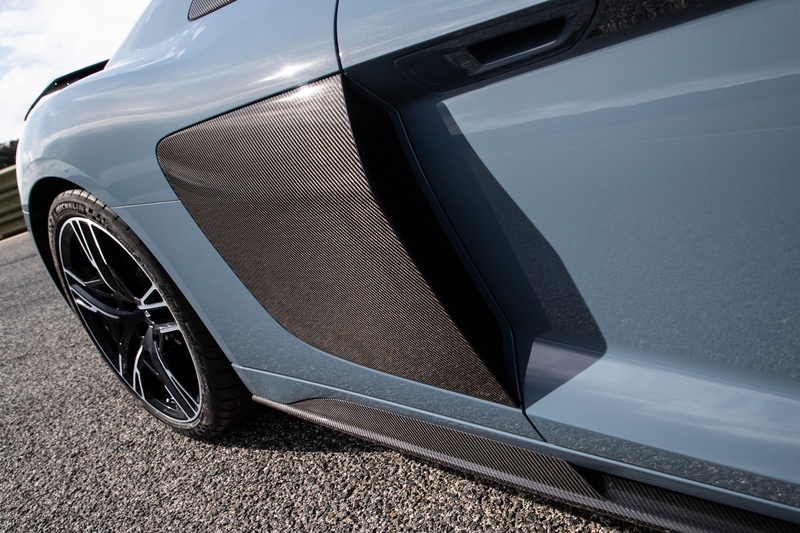 Subsequently, the R8 maintains its reputation as being on of the best all rounders and daily drivable supercars available today. 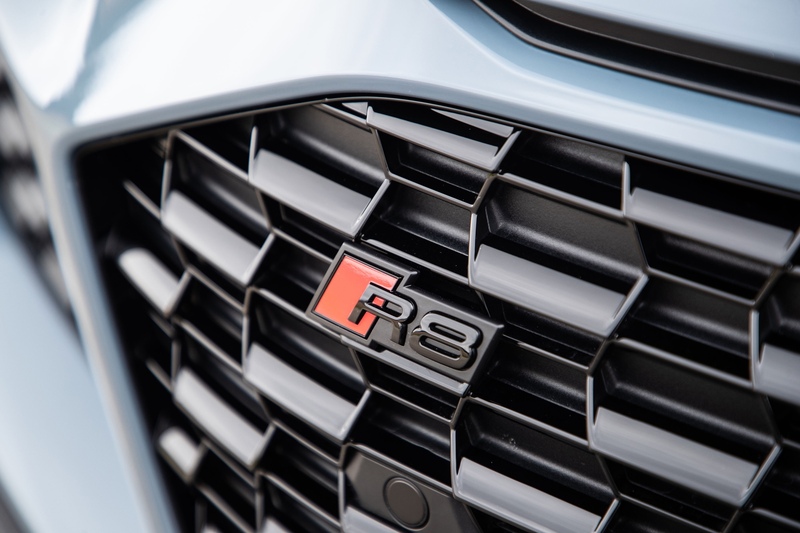 The R8 is not the perfect car, but no car is. It might not be the ultimate adrenaline shot on the track, but not much else with phase it. 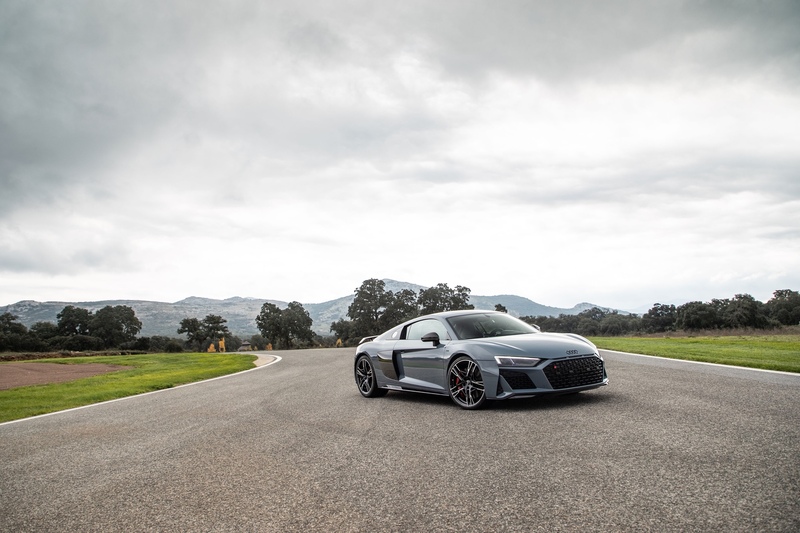 That engine and transmission alone are enough to love the R8 Performance. Who knows if such a stunning paring will be available to enjoy for much longer.